~God's amazing provision in so many ways--both tangible and spiritually--as we still walk through the grieving process of my father-in-law. Understanding that grief has no timetable, but God is definitely in every step of it. Ok. I'm going there. Simply because I have to...after waking up to another morning where someone shook Michigan's snow globe, I needed an attitude adjustment. So I decided to try to see the beauty in all this snow. (I haven't found it in the cold temps yet.) And where else to find beauty in a place you can't see it but God's word. 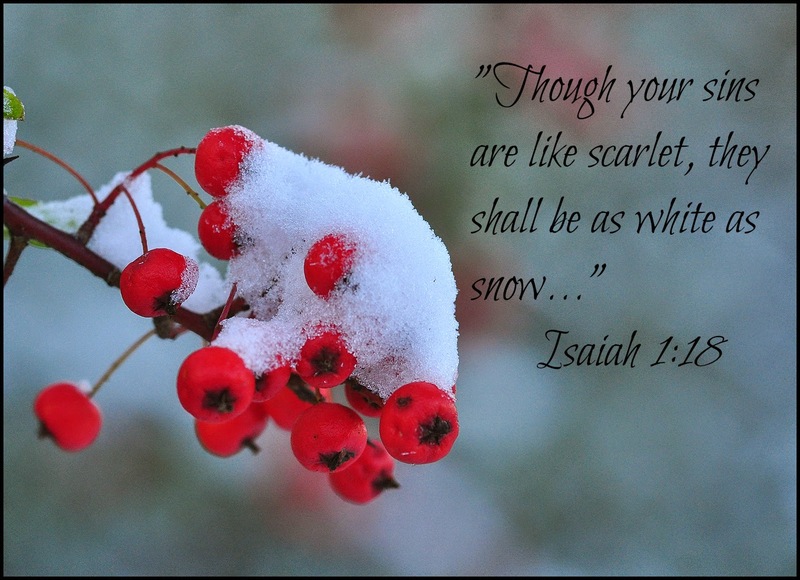 We all know this verse, so rather than seeing those mounting flakes as a nuisance, I'm going to try this week to view them as how God pictures snow.